Welcome to Condron Optical, where our service is always personal. Your eye care will be tailored to your specific needs and delivered with a smile and free tea, coffee and biscuits. You’ll be impressed by our range of stylish frames and top quality lenses, but our teams’ motivation isn’t selling glasses. 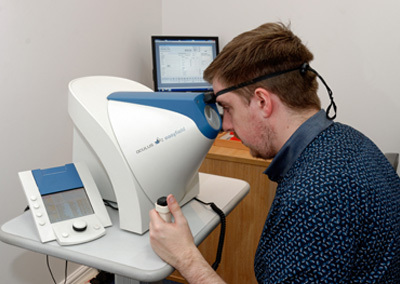 Our number one priority is to ensure that all of our patients retain excellent eye health and vision through our professionally structured eyecare regime. If we can achieve that without needing to prescribe corrective lenses, that’s exactly what we’ll do. When you hear the word ‘local’ used to describe a business, too often it simply means it’s close to where you live. At Condron Optical, local means a lot more than that. 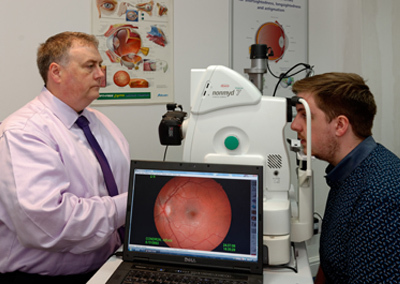 Since the practice opened in 2007, we have worked hard not only to offer first class eye care, but also to become a valued part of the East Kilbride community. Have a look at our community page to learn more about how we’re continuing to do this. There is ample parking that’s completely free of charge at the practice, allowing you to attend your appointment at any time without stress or inconvenience. 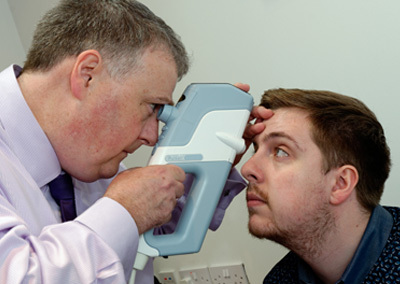 Our practice is also fully accessible for disabled patients, and for those who can’t make it to us we offer home eye care visits through our domiciliary service. For more information on our practice or to book an appointment, please give us a call on 01355 233677. Alternatively, you can email us on info@condronoptical.co.uk and a member of our friendly team will get back to you soon.